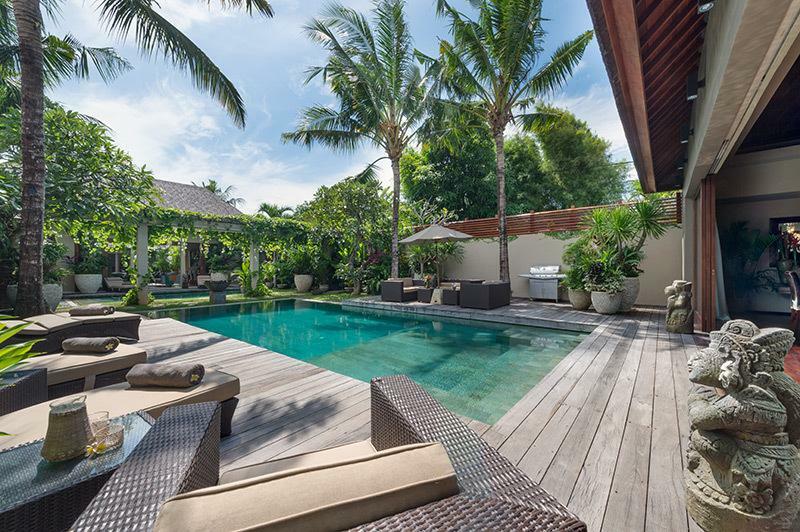 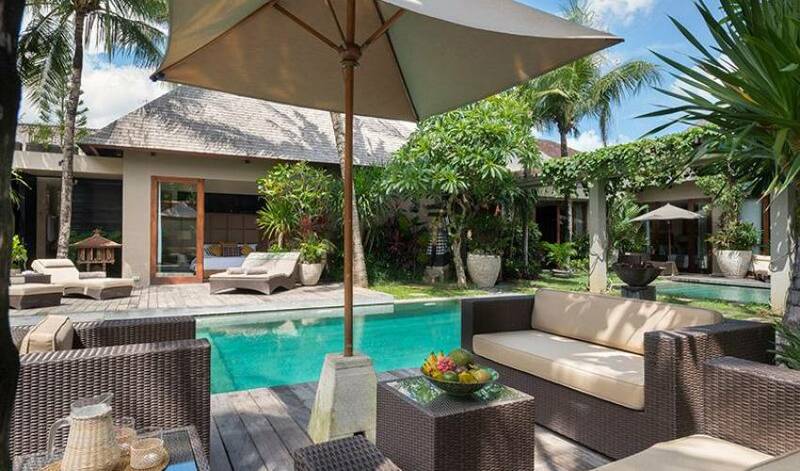 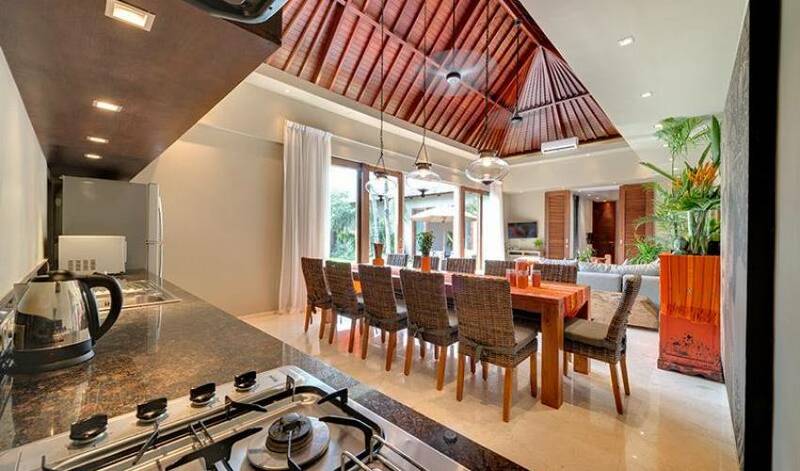 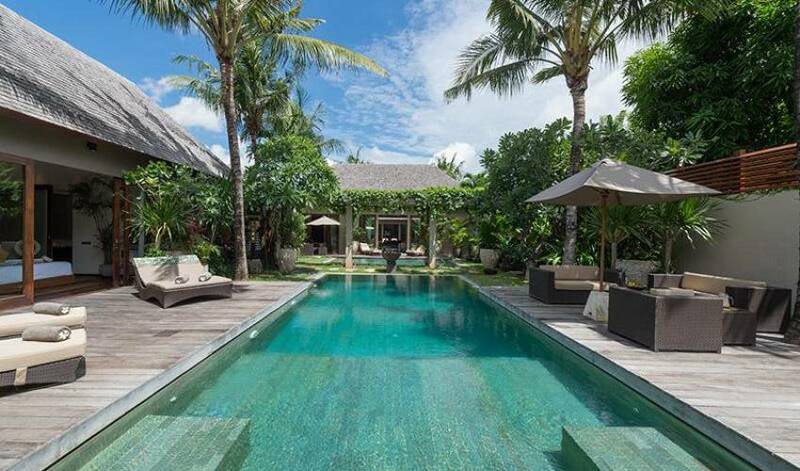 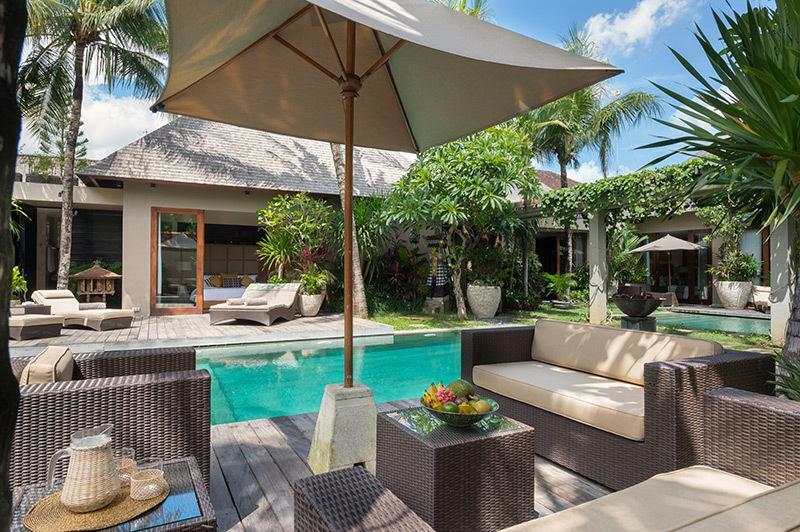 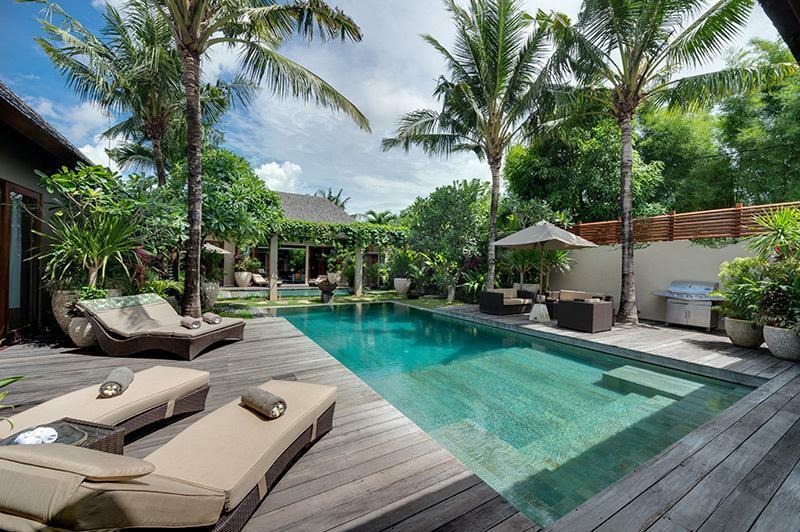 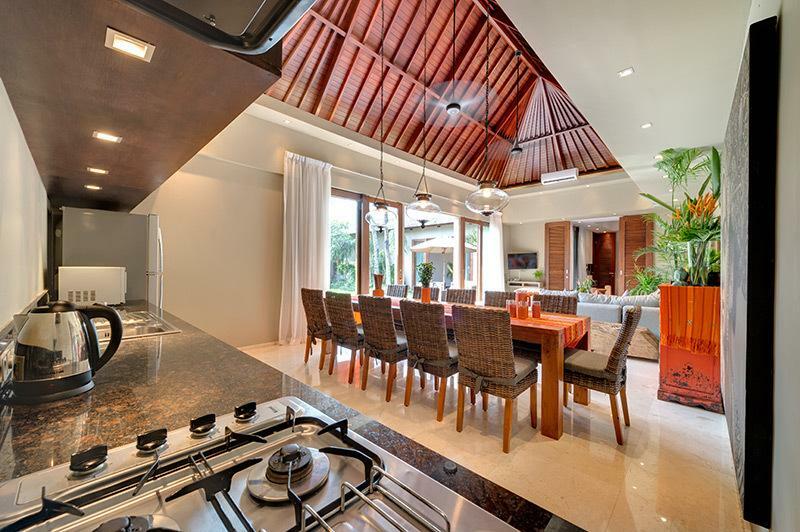 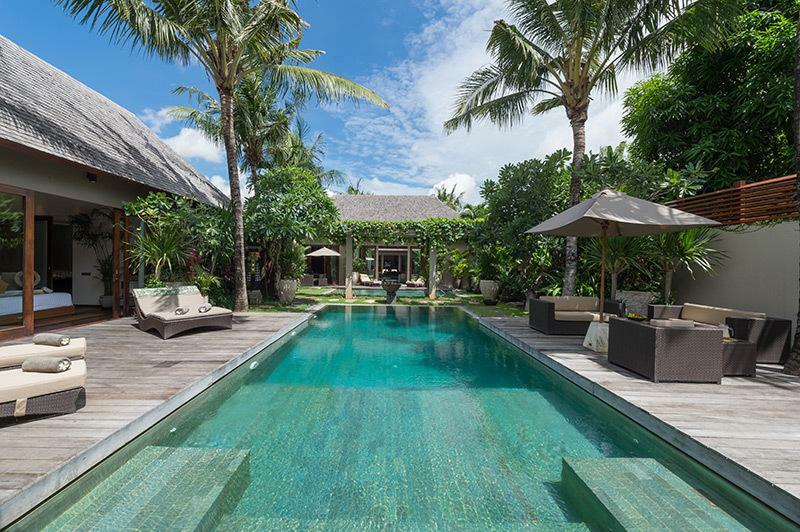 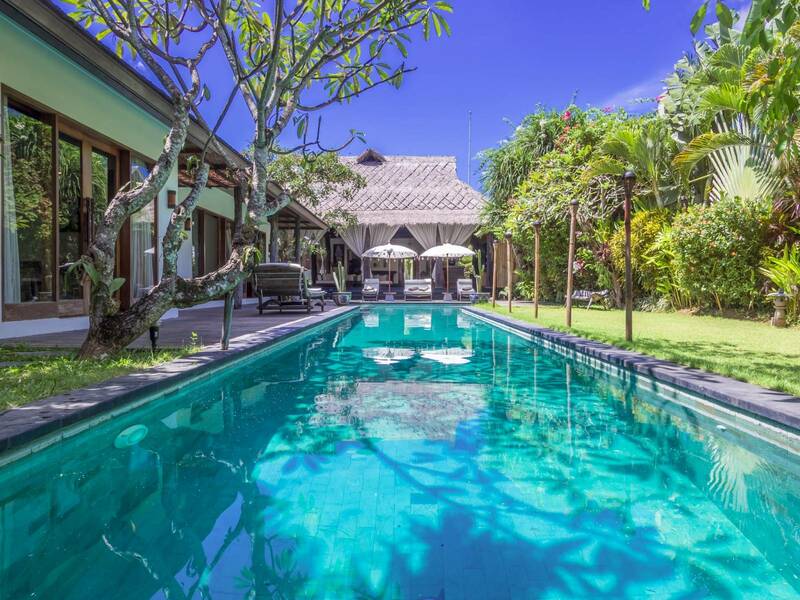 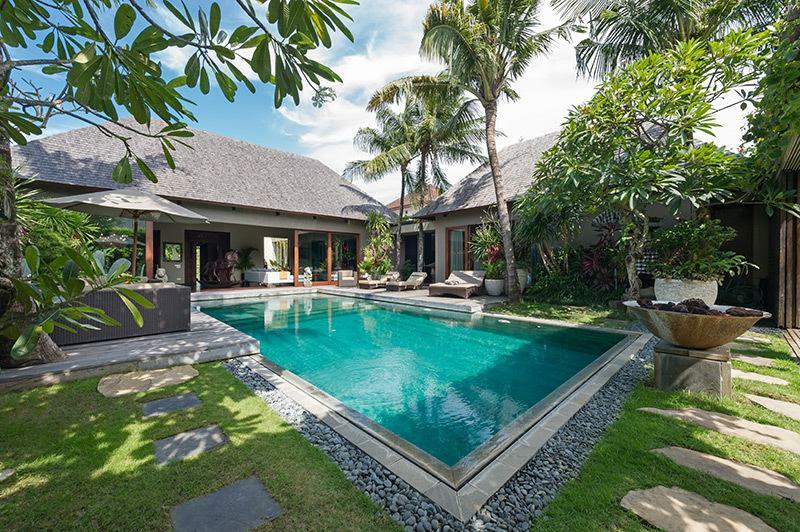 The villa’s seductive interiors are designed to delight: think funky furnishings, brightly coloured artwork, fascinating artefacts and lush fabrics; a place where stone-carved Balinese goddesses invite you to be seated on cowhide chairs under opulent Swarovski crystal chandeliers. And this tropical living concept spills outside onto palm-tree-dotted lawns where you can lounge on pool decks or enjoy romantic dinners lit by flickering fire bowls. 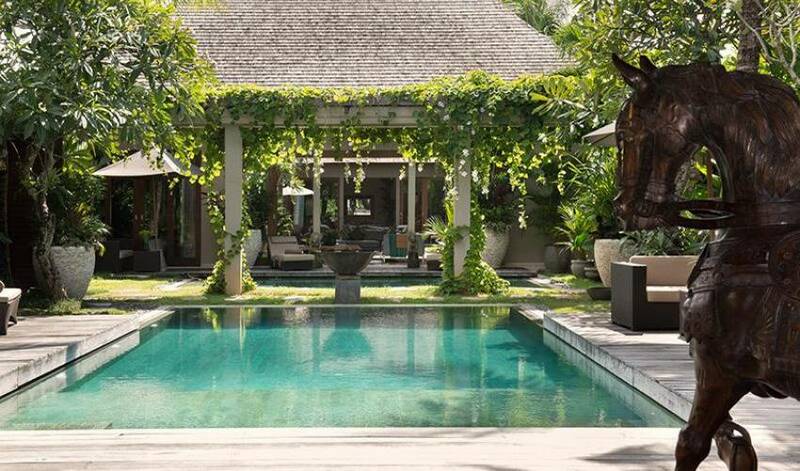 With a staggering array of hedonistic pleasures virtually on the doorstep, the villa’s location is a wonderland for bon-vivants. 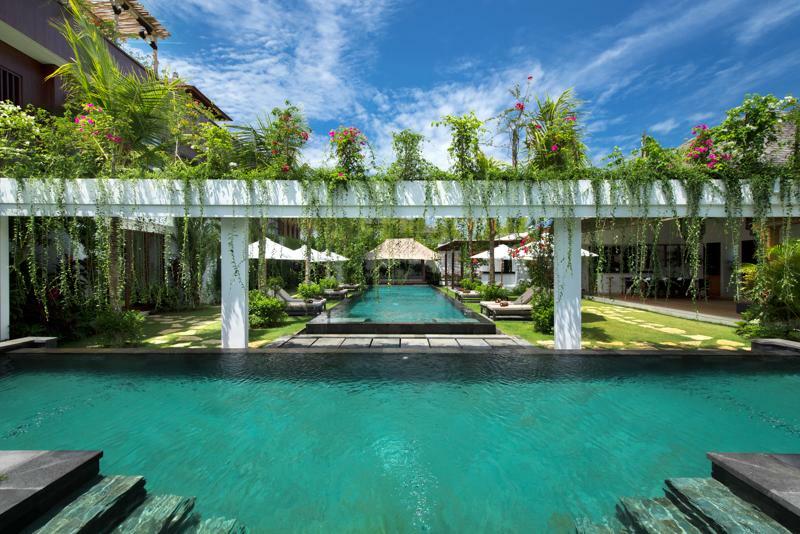 From designer boutiques and day spas to beach bars, world-class restaurants, pulsating nightspots and the expansive Petitenget Beach, fun and fine-dining are never much more than a few moments away.